The death toll from torrential rain and landslides in western Japan rose to 81 people on Sunday, with dozens still missing after more than 2,000, temporarily stranded in the city of Kurashiki, were rescued. Scores of staff and patients, some still in their pajamas, were rescued from the isolated Mabi Memorial Hospital in boats rowed by members of Japan's Self Defence Forces. "I'm most grateful to the rescuers," said Shigeyuki Asano, a 79-year-old patient who spent a night without electricity or water. "I feel so relieved that I am now liberated from such a bad-smelling, dark place." A flooded area is seen after heavy rain in Kurashiki. 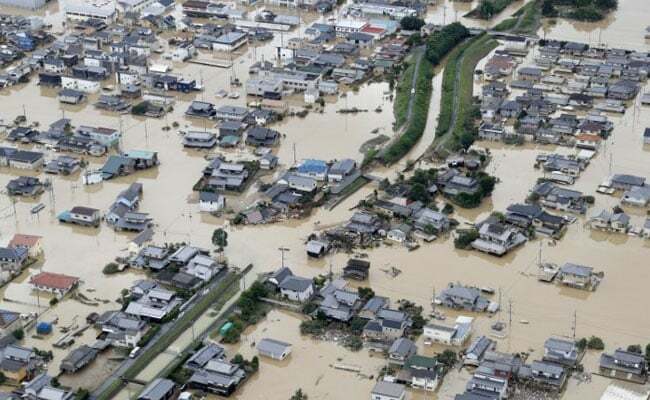 "This is a situation of extreme danger," an official at the Japanese Meteorological Agency (JMA) told a news conference. "It's very painful," said one elderly man watching nearby. "I have a granddaughter the same age. If it were her, I wouldn't be able to stop crying." 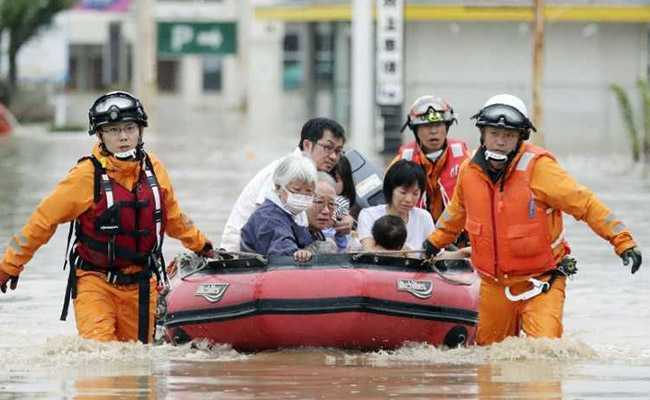 Japan's government set up an emergency management centre at the prime minister's office and some 54,000 rescuers from the military, police and fire departments were dispatched across a wide swath of western and southwestern Japan. "There are still many people missing and others in need of help, we are working against time," Prime Minister Shinzo Abe said on Sunday morning. "It was such a sudden disaster, I just cannot come to grips with it," the principal said. Emergency warnings for severe rain in 11 prefectures - the most since a new warning system was introduced in 2013 - had been lifted by evening, but advisories for heavy rain and landslides remained in effect in many areas. Automakers including Mazda Motor Corp and Daihatsu Motor Co suspended operations at several plants on Saturday and were to decide later on Sunday on plans for the coming week.